As the birthplace of the Renaissance, Florence is the perfect location for History of Art courses. Studying Renaissance Art in Florence offers the unique opportunity to examine works in their original context. With the city as the classroom, students are inspired by the rich architectural and artistic spaces that make up the very urban fabric of Florence. For nearly 60 years, the British Institute of Florence has offered courses on the History of Art. 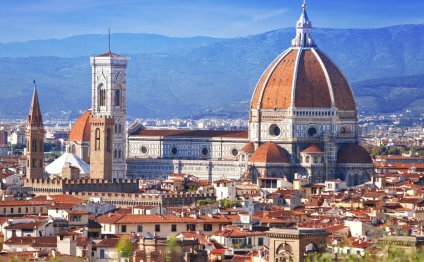 Under the direction of Ian Greenlees in the early 1960s, courses were instituted in order to provide expertise and instruction in English on the various collections that have attracted foreigners to Florence for centuries. That tradition is continued today through public afternoon courses based in the Harold Acton Library and a range of institutional partnerships facilitating formal study in Florence. The British Institute Archive, which documents 19th and 20th century Florence, through its special collections of diaries and correspondence, and the rich history of the Institute itself, spanning much of the 20th century; it has a concentration of material on the British community in Florence and its relationship with the local community. Consultation of the Archive is by appointment.